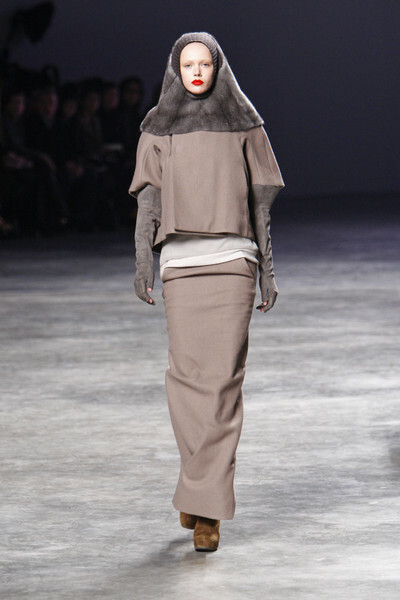 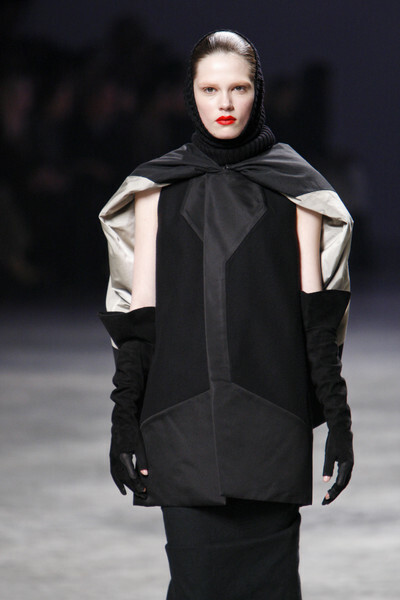 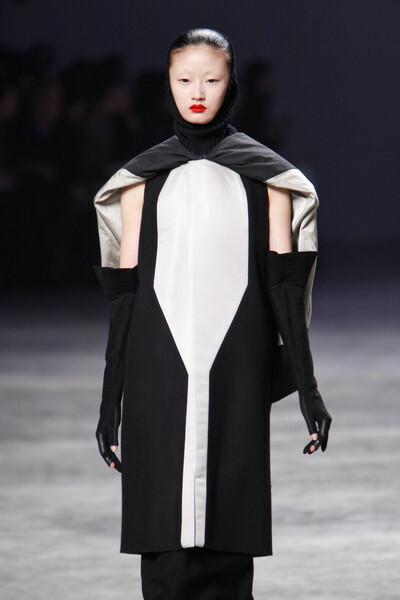 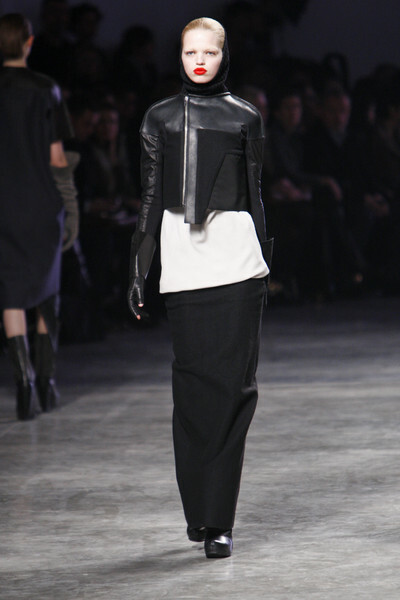 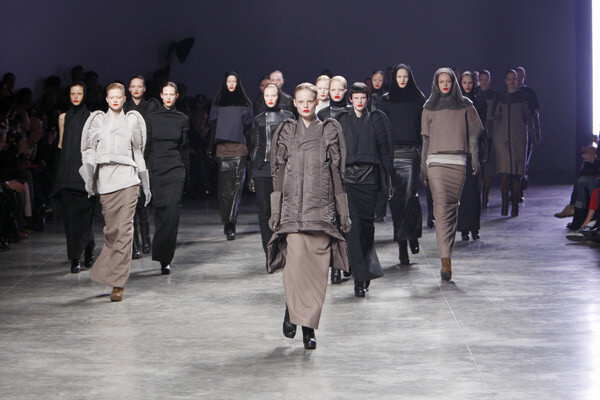 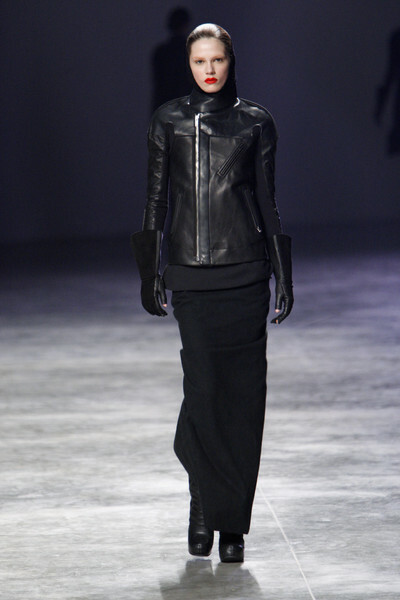 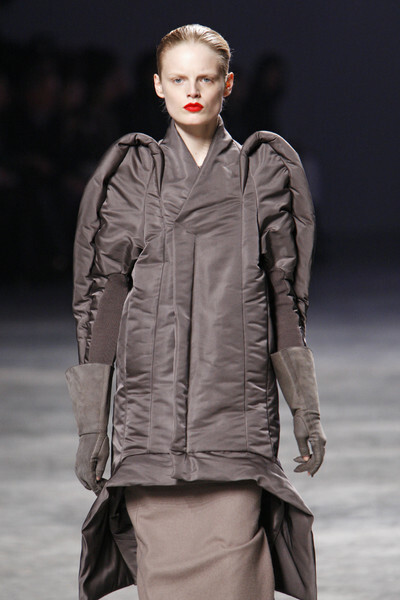 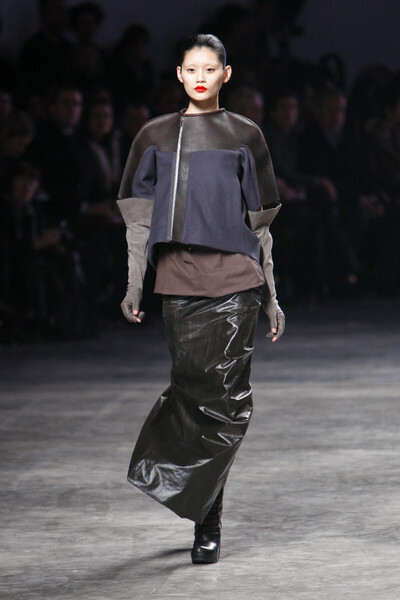 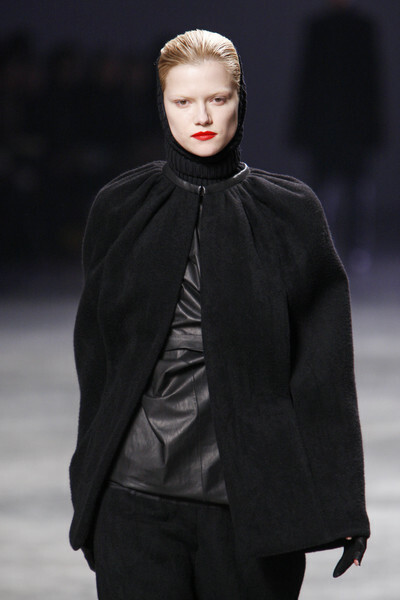 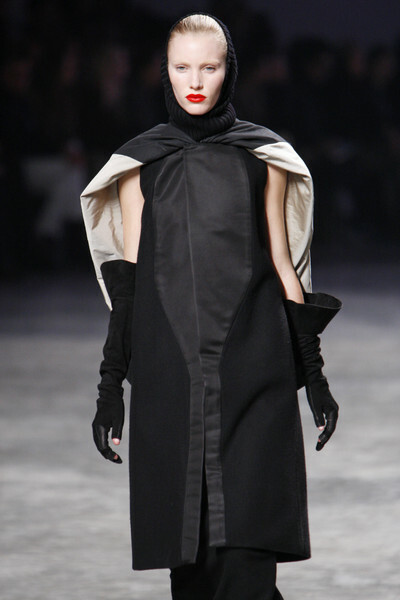 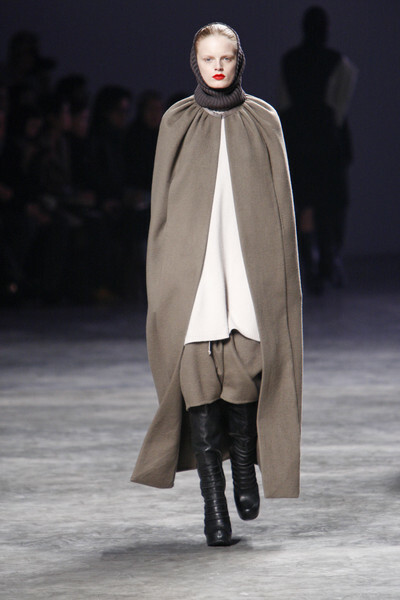 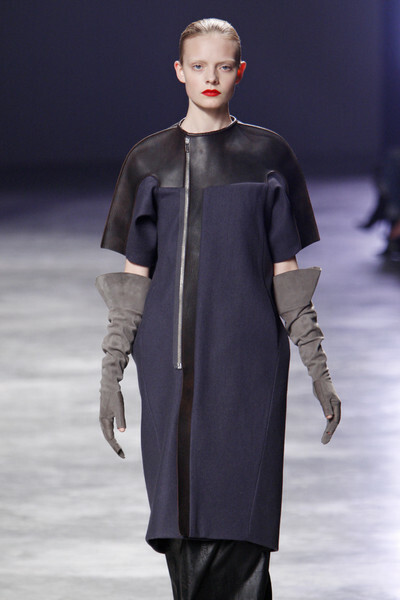 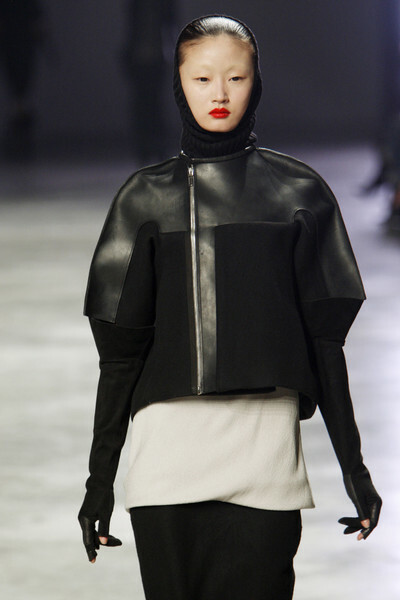 The idea of a plain blanket just thrown over a model was Rick Owens’ starting point for his fall/winter collection. 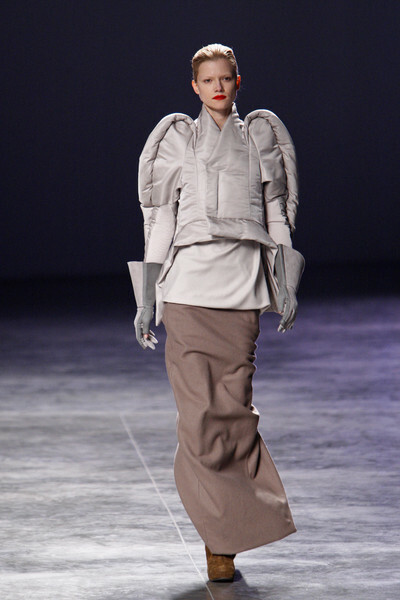 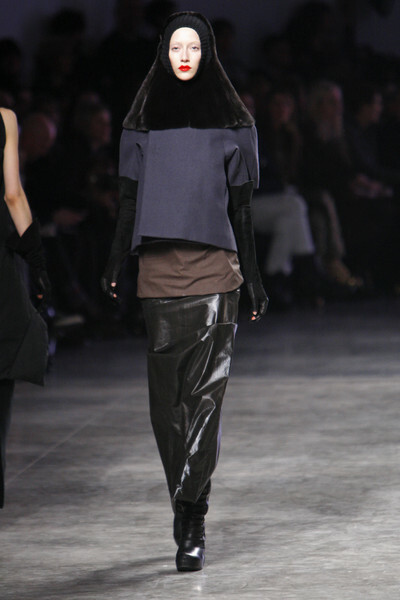 But Rick Owens did much more than just that. 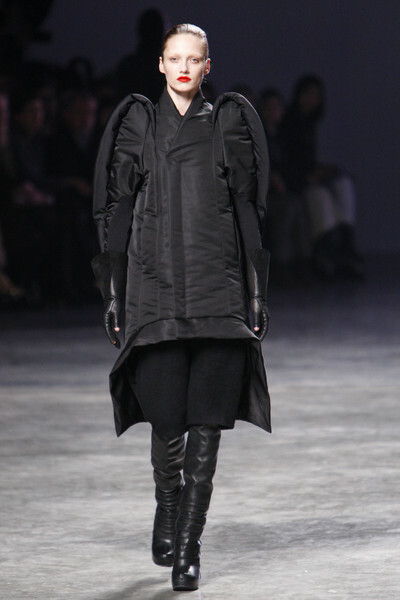 He designed perfectly fitting hoodies, capes and thick woolen dresses with leather parts. 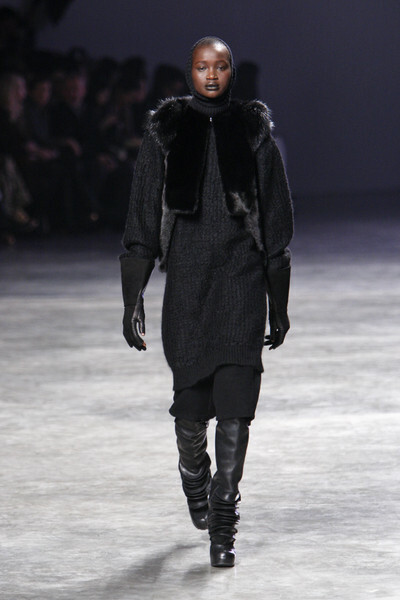 His collection was very winterproof, since Rick used rich wintery materials like fur, leather, cashmere and wool and designed several quilted coats. 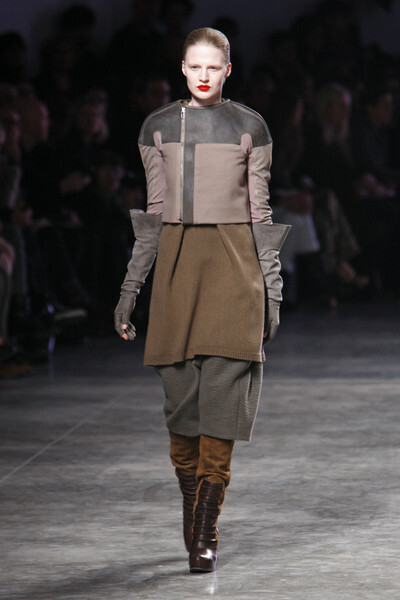 He also fully covered his models. 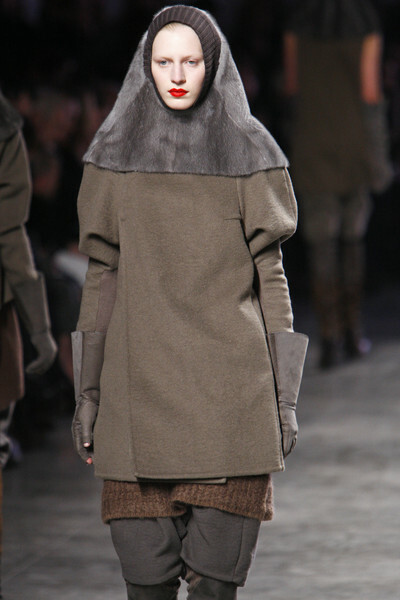 Their necks and hair were covered by fur ‘hoodies’, they wore long skirts. 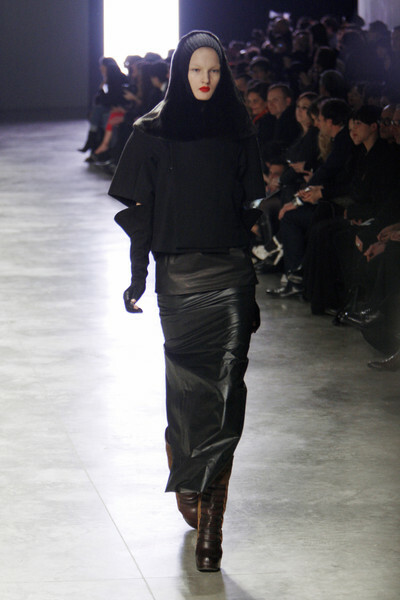 Their pants were tucked into their boots for extra warmth and their gloves were huge . 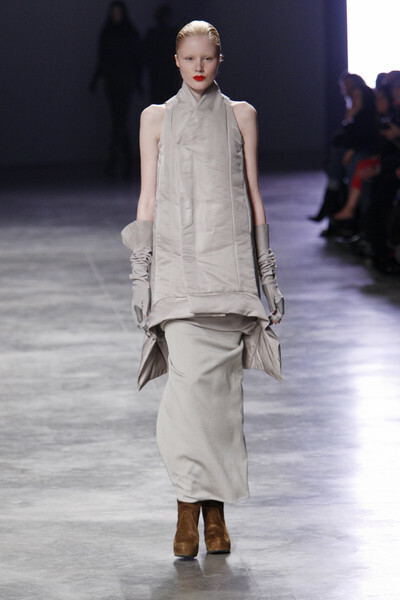 The only body parts we saw throughout the show, were a few arms. 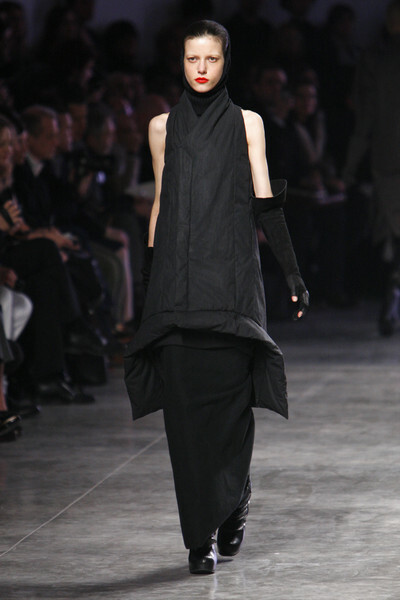 Though there was hardly any color in the collection; this time it felt light. 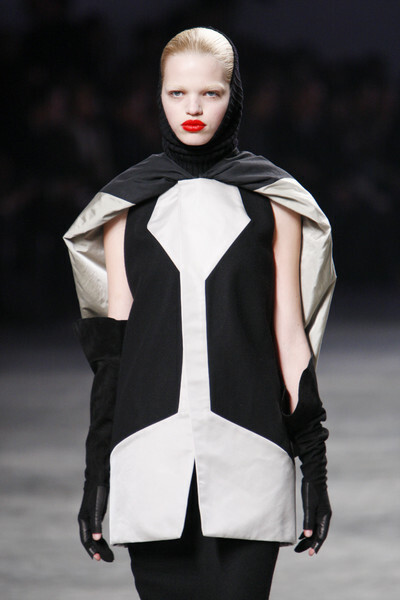 Shades of beige, taupe, cinnamon, black and navy were alternated and matched with colorful red lips, the perfect detail in every look.